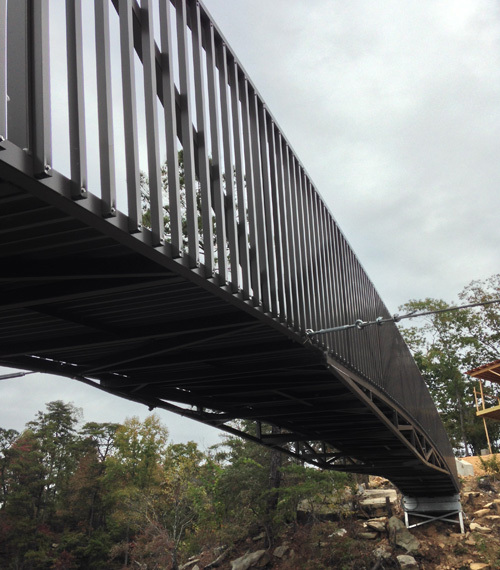 Our boat dock ramps and gangways are art unto themselves. 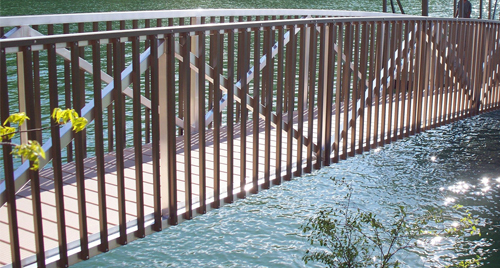 Our aluminum gangways are crafted to perfectly reflect the design of your dock and provide easy, stable boarding. Your options are almost limitless. 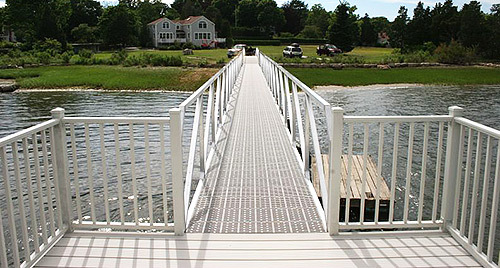 We custom-build each entry to fit your shoreline profile, with options for top- or bottom-level entry to sundeck boat docks and ramp-to-stairs entry for docks that sit far below the land. 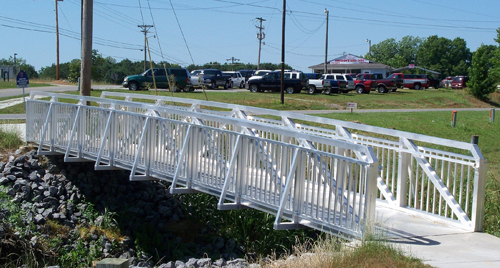 Our boat dock ramps feature an arched bridge truss design and all-aluminum construction with a high strength-to-weight ratio. The live load capacity is from 30 up to 50 pounds per square foot, and P.E.-approved drawings are available for compliance verification. For strength in all conditions, a full-length stainless steel hinge pin with 3/8” aluminum wall exterior and reinforcing gussets at all corners and connections are standard. 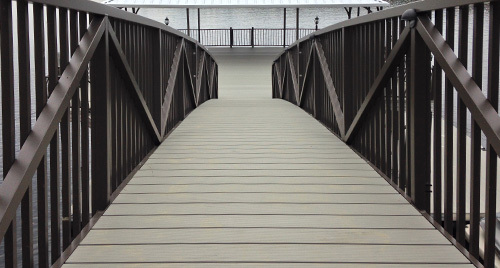 Gangways can span from 5 feet to 80 feet (with supporting undercarriage for runs greater than 60 feet). 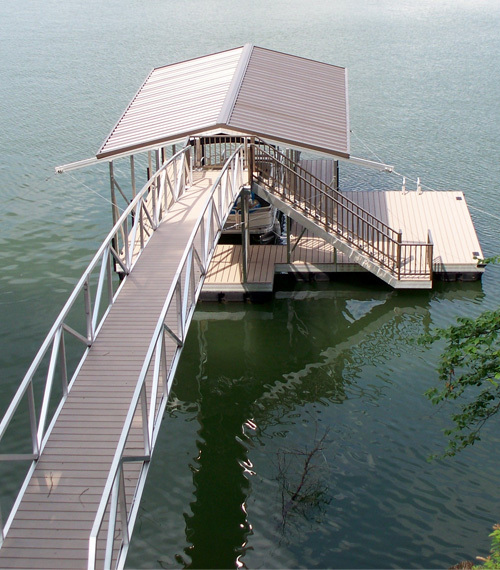 Our boat dock ramps can be made in a variety of widths, picket railings and lockable gates are available, and each of our aluminum dock ramps can be made fully ADA-compliant. Explore more boat dock ramp designs.